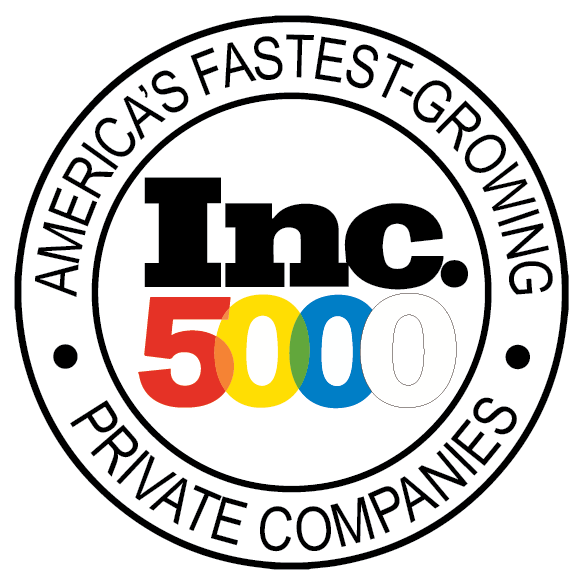 When learned and absorbed, this knowledge can bring dramatic changes to your work. 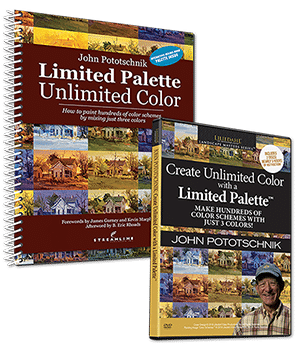 See how in this guest blog post from John Pototschnik, who just released an exciting new video/book combination on how to create unlimited color with a limited palette. The dramatic revelation for me was that painters basically have nine values to work with — white through black — and every color fits somewhere within that range. In other words, every color has a value. You would think I would have been taught such an important principle during four years of “art instruction” in college but, no, it was never mentioned. When learned and absorbed, that knowledge brought dramatic changes to my work, and until an art student grasps and masters that concept, their art is going nowhere. Once a mark is made on canvas, a value and a degree of contrast has been established. Whether that mark is made with a pencil, a stick of charcoal, or a brush loaded with paint, it should be carefully considered. The debate over which is more important, value or color, has been going on since the 1800s, and probably even before that. For me, there’s no contest. The value structure within a painting is significantly more important than color. It is value that defines the quality of light; for example, on a bright, sunny day, the values will cover a broader range and reveal more contrast. Conversely, in low light or on cloudy days, the opposite is true. Value defines the separation between light and shadow, and it’s the value of underlying abstract shapes in a painting that give it substance — that powerful visual effect. When the values are incorrect, out of place, or not clearly representing the desired mood, an inferior painting will be the result . . . guaranteed. When speaking of painting, “values” refers to the degree of lightness or darkness of a color. All paintings have a range of values, but accurate values are those that record accurately the lightness or darkness of a color relative to all other values and colors within the painting. Since I’m primarily a landscape painter, I will speak to that, but the principle of values applies regardless of the chosen subject. Nature with all its varied moods is a wonderful and marvelous thing, and all those varied moods — bright sunlight, fog, rain, snow, mist, haze, smoke, clouds, sunrises, sunsets, midday, twilight, nighttime, spring, summer, fall, and winter — all demand a unique group of values. If the values established on our canvas do not accurately represent the mood we’re desiring to create, then we’ve failed. Instead, we’ve created a different mood. What young artists often fail to realize is that it’s the value that determines mood, not color. However, color is important. My new book, Limited Palette, Unlimited Color, and its accompanying video, Paint Unlimited Color with a Limited Palette, are a testament to how important an understanding of color is to producing a successful work. Color enhances the mood; it does not create it. This truth can be easily demonstrated by observing black-and-white photos of the landscape. One can often determine the mood, and in some cases, the approximate time of day. It is value that creates form . . . a sense of the three-dimensional. Combined with hard and soft edges — and correct values — a real sense of depth and light can be created. Understanding value is foundational to good painting. Part of value is understanding and using a variety of edges. The type of edges plays a key role in the mood one wishes to create. For example, hard/sharp edges are not compatible with rendering fog. So, don’t neglect their consideration. Typically, I begin paintings with a raw umber monochromatic block-in. The concern at this stage is to clearly establish the value structure of the painting. This is where the mood of the painting is established. Once that is set, an appropriate palette of colors is chosen, mixed, and applied to support the already established mood. This technique has really helped my work. By eliminating color from this stage, emphasis can be placed solely on drawing, composition, and value. It’s a good way to work. One technique is to squint. Richard Schmid says to squint only at the subject you’re working from, not the painting. “At the Edge of Town,” 24 x 30 in. Squinting helps one not only simplify but also clarify value relationships. It is a good practice when painting to first establish the darkest dark and lightest light of the painting. After that it’s a matter of accurately relating each succeeding value to those two. Additionally, when drawing the abstract value shapes, it’s important to create variety . . . variety of shape, size, and distribution of values; in other words, avoid an equal amount of light, middle, and dark tones. A dominant shape and value are always preferred. This can be achieved in at least three ways: 1) Crop the subject in different ways until variety is achieved. 2) Redraw while emphasizing some shapes and values over others. 3) Reduce or increase some values in the subject in order to create the desired contrast and importance. I’ve been privileged to teach many painting workshops over the years. One commonality among all students is that they love color, but they do not consider the value of each color. As a result, their paintings end up basically gray in value and inharmonious in color. I prefer clarity. In painting that means values that are accurately placed, correct for the subject, and for the intended mood. A great way to see if your paintings will hold up under the scrutinizing eye of the “value inspector” is to photograph them in black and white. Weaknesses will be very evident. Kudos John! Glad to see a fellow Art Center Alum and Loomis fan from my era (late 60’s) that advocates the principles of primaries and white as the true path to successful painting.